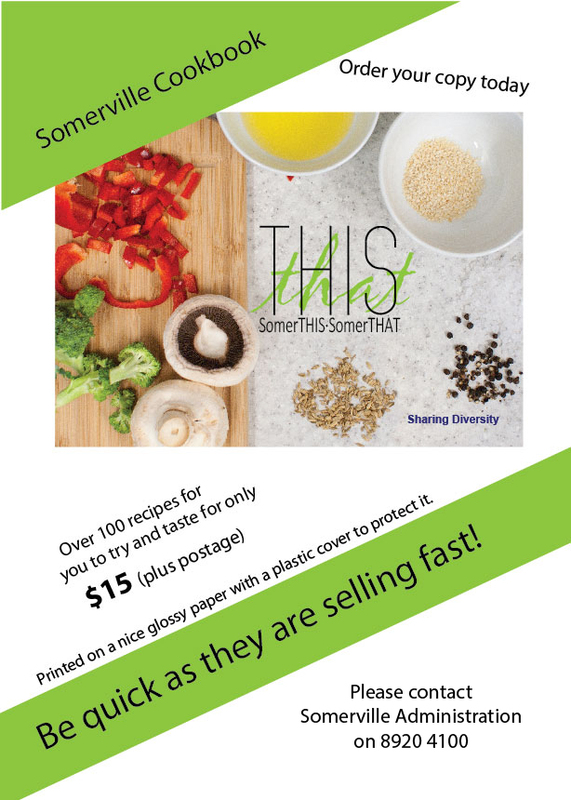 Somerville's Somerthis Somerthat Cookbook celebrates the many diverse cultures within our workplace. With over 100 mouth watering recipes from board members, staff, family and friends you will enjoy dishes from Nepal to Philippines, England to Australia and lots more. We take this opportunity to thank Fuji Xerox and Staples for their involvement and support in this cookbook.